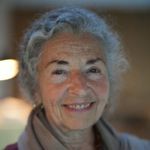 Everyday Meditations Podcast - Judyth O. Weaver, PhD. Judyth is interviewed by Serge Prengel for Proactive Change. Click Here.